Our third day on the surface of Carpenter Basin started with a planning conference with our NEEMO mission control. After going over the schedule for the day's events, we went right to work preparing for the simulated spacewalks on the surface of the ocean floor. Once again, with the help of our habitat technicians Jim and Dewey, we prepared our helmets and suits for a morning "spacewalk". Just like yesterday, two of us went out in the morning and the other two in the afternoon, each for around two or three hours. While one pair was outside, the other remained inside manning the radio, and reading instructions. As you may have seen on our webcam, some of the tasks were very challenging, but we still loved every minute of it. Later in the mission all four NASA crewmembers will go out at the same time on six-hour spacewalks, with no support from inside the habitat. One of the striking things about this area is all of the interesting (and interested) wildlife around us. We'll be walking across a patch of sand while a barracuda gazes from a few feet away, and after we leave, dozens of bottom-dwellers will feed on the microbes in the sand that we just kicked up. After a day of such bizarre and beautiful sights, we cannot help but think about the bizarre and beautiful discoveries we may someday make on other planets. Apart from the spacewalks, back in Aquarius we had a very special day. From the bunkroom we watched as Shuttle Endeavour launch to the International Space Station. We feel very much a part of what is going on in space right now. 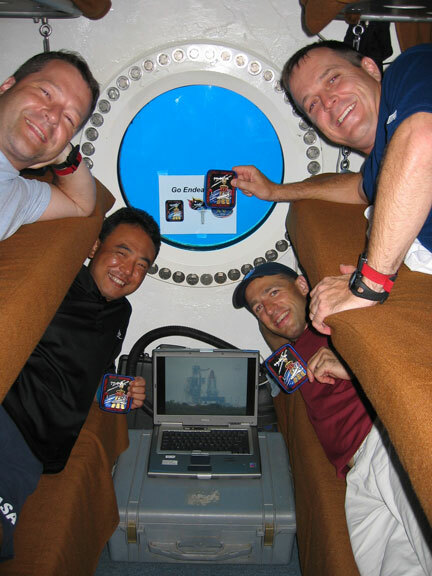 Not only is there the common bond of NEEMO aquanauts on each of these three missions, but a goal of each mission is to bring the benefits of spaceflight into the classroom - especially since our future programs will need the generation of students who are in our classrooms today. Our thoughts are with the crewmembers of Endeavour and ISS for a successful launch and a great mission in the coming two weeks. 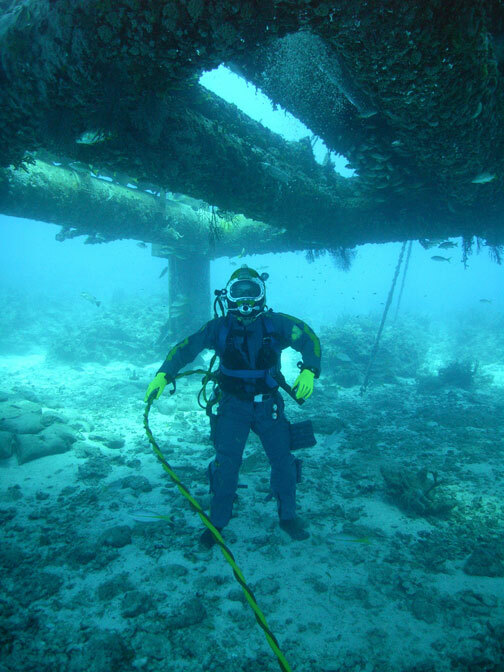 It was an inspirational sight to see from the ocean floor!